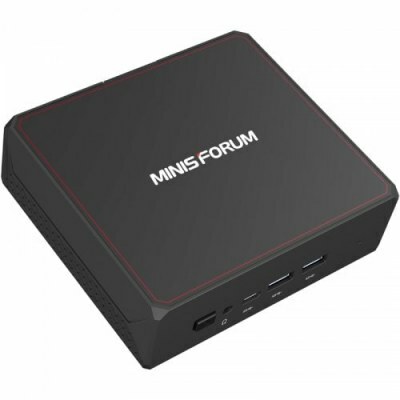 MINISFORUM has prepared for the release of a new MINI PC U500 based on the hardware platform Whiskey Lake Intel Corporation. Buyers can choose Intel Core i3-5005U and 8GB LPDDR3 RAM and 128GB SSD Storage Capacity. All of these products include the Intel UHD 5500 graphics accelerator. Intel HD Graphics 5500 Graphics processor gives you a stable high-speed video and graphics signal output, let you enjoy the visual feast. The MINISFORUM U500 is equipped with Intel Core i3-5005U dual-core four-thread processor, 3MB cache, meet your multi-task window needs, collect and output data timely. It is builtt-in excellent cooling fan ensures efficient and rapid heat dissipation. Energy saving, environmental protection, and low power consumption. Available interfaces include USB 2.0 and USB 3.0 ports, Display Port (×2) and HDMI connectors for image output, two jacks for network cables, etc. Unfortunately, there is no information about the terms of sales and approximate price of the new product at the moment.